A terminally-ill man has lost his legal battle to the right to end his life. Noel Conway, 68, suffers from motor neurone disease and lost his challenge at the Court of Appeal in June after his case was rejected by the High Court. “It was shown a few years ago that when people hear the five main arguments against changing the law, 75% for changes to 43%. He added: “There will always be a small number of people who will be determined to go down this route. Helping someone kill themselves is currently a criminal offence carrying a maximum sentence of 14 years in prison, according to Section 2 of the 1961 Suicide Act. 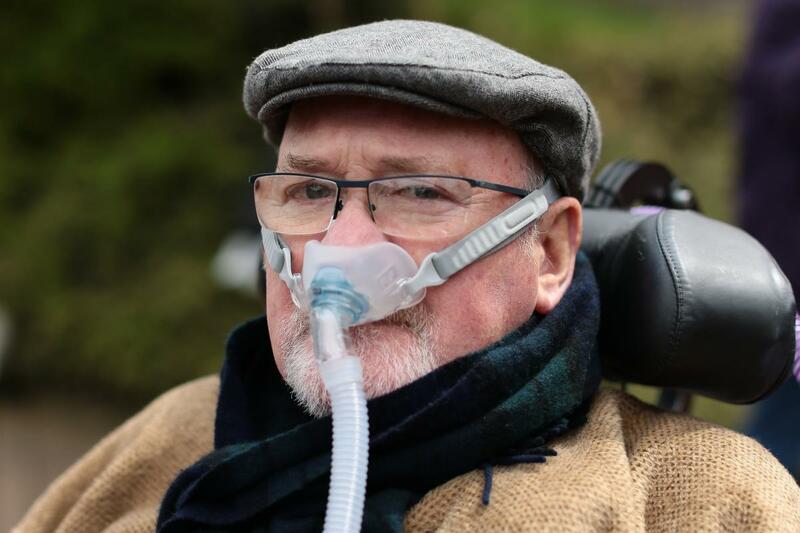 Noel Conway, who has motor neurone disease, lost his legal battle to the right to end his own life. Dr Saunders added that Mr Conway’s defeat would not be the end of the debate surrounding assisted suicide. “We have seen 11 attempts to change the law through British Parliament in the last twelve years or so,” he said. “Every one of them has been defeated and the most recent one in 2015 was beaten by an overwhelming majority. “This is why groups like Dignity in Dying have drawn attention to the courts in the hope of getting a ruling there. “Mr Conway has been to the High Court last year, and the Court of Appeal this year and he has now lost at both of those levels. “He attempted to get a Supreme Court hearing this time and the judges ruled against that. “That is the end of the road for Noel Conway but I suspect it won’t be the end of the issue because we have been debating it for many years.